index finger. 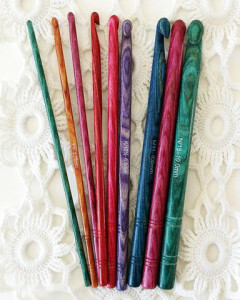 Tread the yarn over your middle finger and then under the remaining two fingers on your left hand. Use your middle finger to help feed the yarn for crocheting while the remaining two fingers help with keeping an even tension. hook from the back to the front and repeating the process. 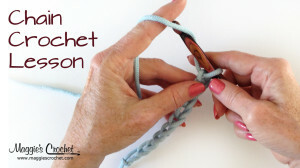 Remember to always hold the work in your left hand (for a right handed crocheter) and wrap the yarn around the hook from the back to the front. 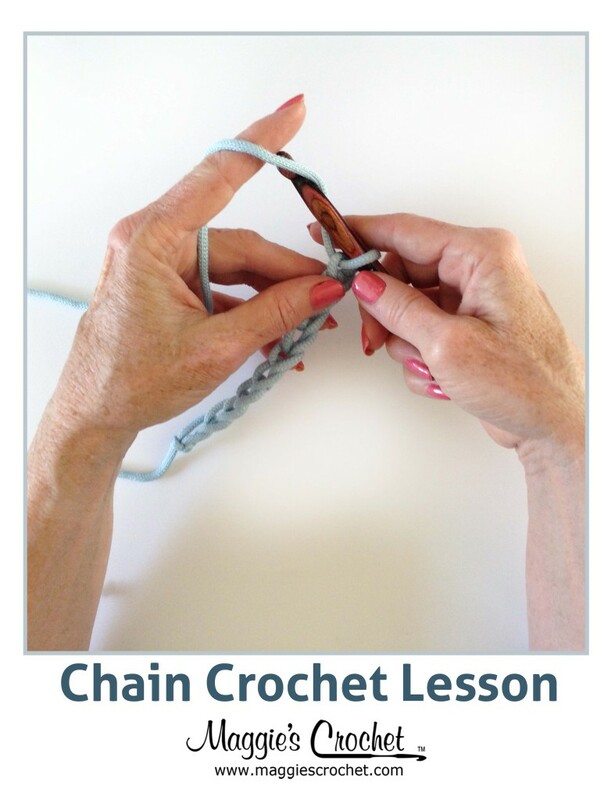 Practice making strings of chain as the first step in learning to crochet. 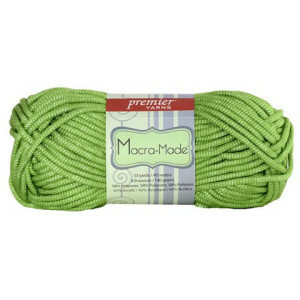 This will help you get comfortable using the hook and pulling the yarn through the loops. Work to make the ch(s) an even size and not too tight or too loose. Beginners have better luck at making loose ch(s) and then working on getting the tension correct. 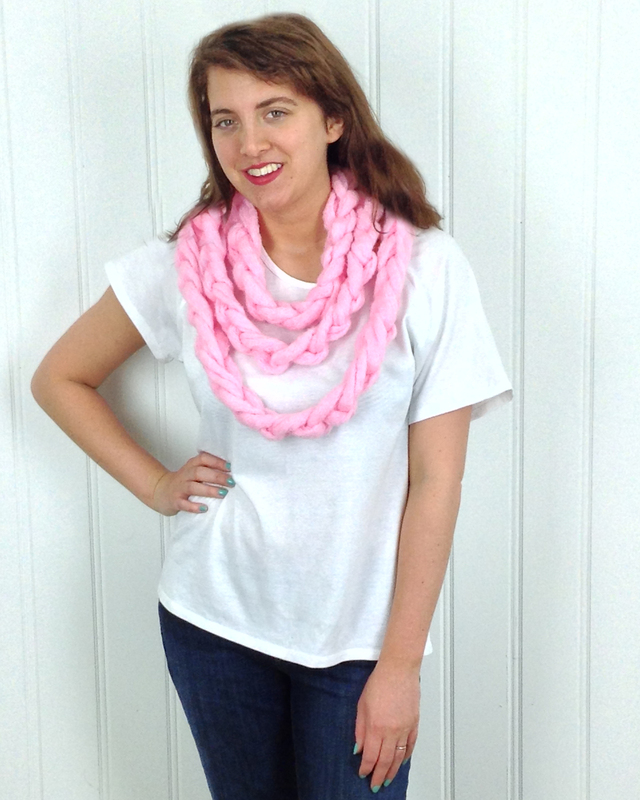 Want to learn to crochet but don’t have a lot of time to devote to your craft? 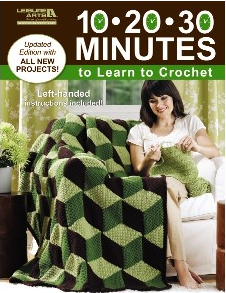 Then 10-20-30 Minutes to Learn to Crochet is the book you’re looking for. 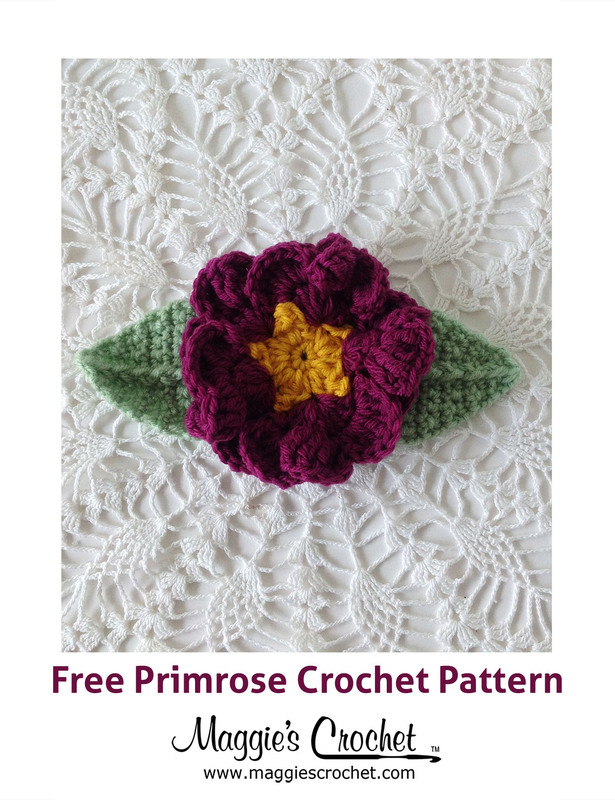 10-20-30 Minutes to Learn to Crochet makes it possible to learn a relaxing new hobby by taking advantage of little snippets of time throughout the day! 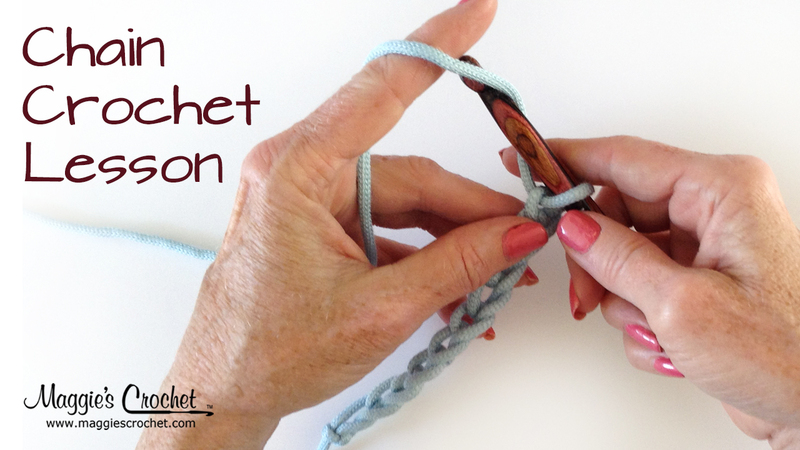 Step-by-step instructions and expert advice guide you through the basics of crochet, for both right-handed and left-handed beginners. Then there are 9 fresh designs to put your skills to use: Dishcloth, Striped Scarf, Henrietta Hippo toy, Sweet Mary Janes and Manly Moccasins (baby booties), Twinkling White Baby Afghan, Textured V-Neck Pullover (ladies chest sizes 36″ to 51″), Building Blocks Quilt, and Mountains Afghan. You’ll be quickly on your way to your first project in just minutes a day.